More than 649 volunteers gathered data from the shores of 44 sites off O‘ahu, Kaua‘i and Hawai‘i Island during the second Sanctuary Whale Count event in 2018. 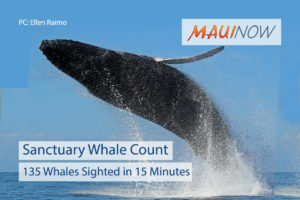 The count, conducted by the Hawaiian Islands Humpback Whale National Marine Sanctuary included the sighting of 135 whales over a 15 minute interval starting at 10 a.m. on Saturday, the most of any time period throughout the day. The HIHWNMS first whale count of the year was conducted at the end of January and had slightly better results with 172 whale sightings seen during the 10:30 a.m. to 10:45 a.m. time period. HIHWNMS representatives say weather conditions were unfavorable for viewing whales this time around due to poor visibility. Multiple Ocean Count sites on Hawai‘i Island cancelled the count on Saturday due to continuous rainfall and zero visibility. The count serves to promote public awareness about humpback whales and provides a snapshot of whale sightings, activity and surface behavior. The wintering whales migrate to Hawaiʻi each year to mate, calve and nurse their young. 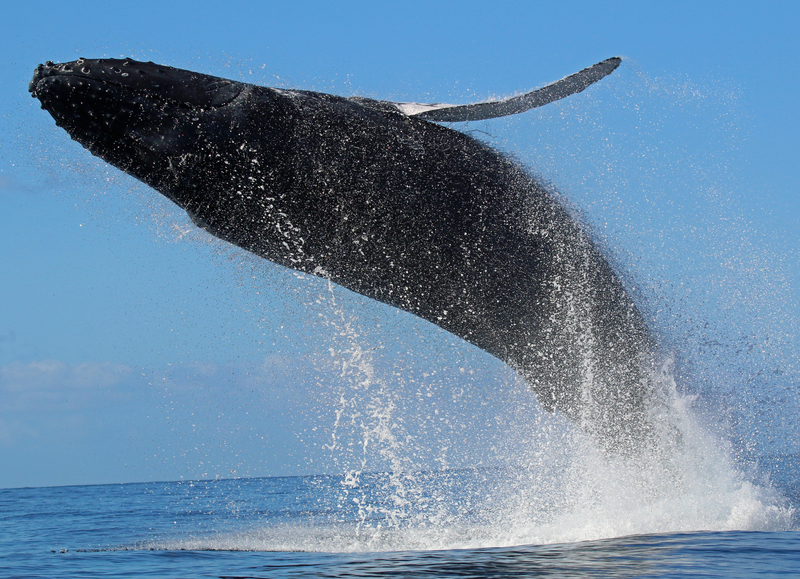 The count is separate from the Great Whale Count  conducted by the Pacific Whale Foundation in Maui waters.